With well over 100,000 people converging on Pimlico Race Course in Baltimore for one important race day in May and billions watching around the world, the Preakness Stakes is very much in the spotlight. The pressure is high to put on a good show and the race goes off each year without a hitch only because of the people behind the Preakness. These men and women hold all kinds of jobs from general manager to track farrier to pony riders and each and every one of them makes the second jewel in the Triple Crown the people’s party, the race that horsemen and spectators alike often say is just plain done right. Each year we catch up with a few of these people to chat about their roles at the Preakness stakes, memories and more. Outrider Kaymarie Kreidel grew up riding in the show ring on ponies before ever sitting on a racehorse. When she had outgrown the ponies, she stopped by a neighbor’s farm and asked if they needed someone to ride some of their horses. “They asked if I had ever sat on a racehorse before and I said ‘sure!’ which wasn’t really true at the time,” she said laughing. There she started helping get layups back into work, and lightly breezing youngsters. A van driver for the Boniface family saw her riding one day and asked if she ever thought about being a jockey. “I asked if anyone could become a jockey and he said yes, so I went to work for the Bonifaces,” she said. All of Kaymarie’s ponies are former racehorses, including Stylishly, who as a youngster had been ridden by Hall of Fame jockey Gary Stevens. In 2012 Stevens and Stylishly, now one of Kaymarie’s ponies, reunited for another race. “That year was my most memorable Preakness because I ended up having such a personal connection to it,” Kaymarie said. She went on to tell the story of how MJC decided to have a promotional mock race the morning before the Preakness Stakes, using her horse Stylishly, who looked a lot like Bodemeister (second in the Kentucky Derby and one of the Preakness favorites) and a fellow outrider’s horse that looked like Derby winner I’ll Have Another (who went on to win that year’s Preakness). After the mock race, Gary told Kaymarie that was the most exhilarating race he had ever ridden. “A year or two later, he returned to racing!” she said. If this year’s Preakness is your first time at Pimlico, Kaymarie says, “get down to the paddock to see the horses up close!” And maybe even get a chance to pet a pony while you’re there. For 26 years, Diana Harbaugh has been with the Maryland Jockey Club in the position of Director of Printing and Promotions. Although the title has remained the same through the years, the job itself is ever-evolving. “I ran the print shop when we had one here in house but now I act as the liaison to the printer we use, organizing the materials needing to be printed,” Diana said. But that isn’t even the half of what Diana does in terms of supporting MJC and getting the Preakness Stakes up and running each year. Diana also suggests fans make their way to the Pimlico paddock at some point before a race, and be prepared for a long enjoyable day! Baltimore native Lawrence Jones does not technically work for the Maryland Jockey Club, but he has been a part of the Preakness Stakes for the past 30 years as the race’s official painter of the weather vane and Stakes Barn jockey. Once the win is official, Lawrence studies the winning silks and jockey features, and gets started on the weather vane. “The winning jockey and horse come right in front of the cupola so I get a good look and study of the colors and features,” he explained. Lawrence uses One Shot sign painters paint, which he says, “Is an old paint that’s been around for a hundred years!” It is an outdoor paint that withstands Maryland’s seasonal weather changes. After 25 years with the Department of Correctional Services, Major Mike Singletary retired in 2014, having already worked 28 Preakness Stakes as a security consultant for the Maryland Jockey Club. Singletary did not stay retired for long, as MJC hired him full time. Maj. Singletary’s favorite Preakness to date so far has been American Pharoah’s win in 2015. “That was my first Triple Crown and to be part of that experience was amazing,” he said. And for new fans getting ready to create their own Preakness experience, Maj. Singletary recommends going to the Preakness website ahead of time and reading through the “do’s and don’ts” as well as reviewing all the promotional materials for schedules of events and parking facilities. Growing up in Great Barrington, Massachusetts, Tim Tullock was first introduced to Thoroughbred racing at the local county fair. “We’d still be in school but could hear the race calls through the open windows,” he said. “I’d rush over to the fair right after school to watch and take it all in.” Tim worked racing into his life and became a trainer. In 2000, he moved his barn to Maryland to spend the winters, and when he retired in 2015, he stayed, after being hired by the Maryland Jockey Club. Tim became involved with many aspects of Maryland racing, including being an outrider and assisting with the annual Totally Thoroughbred Show at Pimlico. He also volunteered as a tour guide for the Sunrise Tours during Preakness week and gave Racing 101 classes to fans. “I’ve always wanted to move towards the ‘dark side’ of racing,” Tim said with a laugh when referring to now working in the management areas of the track. While living in Maryland, Tim says Smarty Jones’ Preakness win in 2004 sticks out the most in his mind, “It was just a great Preakness.” But it was the duel between Sunday Silence and Easy Goer in 1989 that is the most memorable Preakness Stakes he’s ever watched. “Just a tremendous race!” he said. Tim went on to earn his masters degree and an MBA from the University of Baltimore while continuing to work as a mutuel teller. By this point, Freestate had closed and Tim moved over to Rosecroft. “I started picking up more responsibilities like training the new people and counting pouches in the money room,” he stated. Eventually he moved on to being a full-time supervisor and then floor manager. In 2007, Tim was promoted to director of pari-mutuels. “I was also the simulcast director at some point,” he added. In September of 2016, MJC Vice President and General Manager Sal Sinatra, along with Tim Ritvo, COO of Racing for the Stronach Group, asked Tim to take over as assistant general manager. Before Terry Overmier took over for stall manager Charlie Hall when he retired a few years ago, Terry was a groom for various trainers for several years as well as a mutuel teller for MJC. She had been working with Charlie assigning stalls for the receiving barn and officialy moved into the position about a year and a half ago. “I am the one who is in charge of assigning the stalls for each barn, counting the number of horses on the grounds,” she stated. “I basically need to know where everyone is at all times and make sure the horsemen all follow the rules. 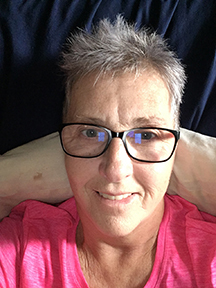 The job really has a lot of things involved with it.” Terry added that at times she even feels like “Dear Abby” as she often answers tons of questions and helps keep everyone getting along with each other. During Preakness week, Martin also works in hospitality assisting Pheobe Hayes. “Preakness week is awesome! Everyone loves Pimlico and things get really ramped up for the Preakness,” she stated. In the Stakes Barn, Martin’s primary job is to take care of the horsemen, helping them get around, order supplies, and the like. “We set up a breakfast every day and on Thursday we take the grooms out for dinner,” she said. “They are often stuck with the horses all day so it is nice to do something just for them!” There is a crab feast on Friday and then a post-Preakness cocktail party after the big race. On Preakness morning, Martin hands out bibs, jackets, hats and other logo wear to those with Preakness horses. “The horsemen are very appreciative of what we all do for them. They often tell others that Maryland does it right!” she added. Today, Stan Salter is best known for his own Maryland Horse Racing radio show, but during Preakness, he is the On-Air Racing Analyst giving reports all week on both radio and television shows. Stan grew up in the sport right here in Maryland as his father was a racehorse trainer and his mother a show rider and barn manager. “I grew up on a few different farms here in Maryland and showed a lot in the hunter ring as a teenager,” he said. At 16 years old, Stan won the Junior Medal Finals for the Howard County Horse Shows Association. While as a teen, he also started galloping horses for his father. He rode back on the woods track at the Bowie Training Center when he was 14 and then at 16, got his license. He showed in the Intercollegiate Horse Show Association for Towson University while still being involved with the Maryland racing industry. In the spring of 1998, Stan took his first radio classes and covered his first Preakness for a local Towson station. The following year he got an internship with WMSG of Baltimore, which lasted until 2004. Stan’s radio career began to blossom as he moved around to different stations and in the early 2000s he hosted a weekly show that featured breeding and racing farms. All the while, he was still galloping racehorses for trainers like Jonathan Shepard and Nick Zito. On Preakness Day, Stan arrives at Pimlico by 4 a.m. “and even then I feel like I’m running late!” The first broadcast from the Stakes Barn begins at 6 a.m. and runs until 9 a.m. “The whole show is live with us talking with trainers and owners and racing officials. Live interviews are always better,” he explained. Right after the morning show, the simulcasting show begins by going on the air by 9:30 a.m. with the first race typically having a 10:45 a.m. post time. From there, Stan is on television all day reporting on each race. After the Preakness concludes, there is a party at the Stakes Barn, meaning Preakness becomes close to, if not more than, a 24-hour work day. But it is certainly worth it as Stan has many Preakness memories to share. “Real Quiet winning in 1998 will always stand out for me since it was my first time covering the Preakness. Then there was when Afleet Alex almost fell in 2005 but still won. It was my first time covering the Preakness on my own radio show,” he remarked. Big Brown and Rachel Alexandra were mentioned as well as I’ll Have Another. “Doug O’Neil is always great to cover. He’s great with the media,” Stan said. 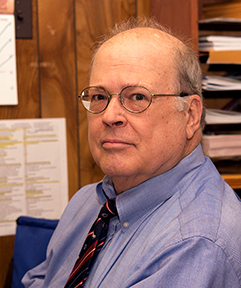 Coleman Blind has been the Stakes Coordinator for the Maryland Racing Commission for the past nine years but grew up in the industry and has worked for the racing office since 1970 in a variety of positions. He galloped horses at Timonium and worked the in-gate with his father Eddie, who was the official starter for 35 years. His uncle Eric was a jockey who rode in the Kentucky Derby and Preakness Stakes and his brother Frank was also a starter for a while before becoming a golf pro. In addition to working at tracks outside of Maryland, Blind was a National Steeplechase Association steward for many years at races up and down the East Coast. But after working 47 Preakness Stakes, there is only one that Blind considers the most memorable, “Secretariat. I was a patrol judge at the quarter pole. Just an awesome horse.” Oh, and he also has a photo from 1948 of him and his father and trainer “Uncle Jimmy” Jones of Calumet Farm standing with Triple Crown winner Citation. “Sunday Silence, Easy Goer and I’ll Have Another were all great winners as well,” he added. As the Stakes Coordinator, Blind is the one who speaks with trainers and owners to invite them to run horses at Pimlico and Laurel in their stakes races. “Basically I try to sell our races to get people to come,” he explained. Then on entry day, he will follow up with the connections of the various horses who are nominated to fill the race card. “Things are a little bit different for the Preakness,” he said, explaining that there are early, late and supplemental nominations. In addition, the winner of the April 22 Federico Tesio Stakes at Laurel gets an automatic spot in the Preakness and the winner of the Weber City Miss Stakes, also at Laurel, gets into the Black-Eyed Susan Stakes. The dirt track at Pimlico is a sand, clay and silt mixture, though the majority of it is sand. “The clay and silt help hold the sand together,” Whitman explained. Each year, more of this mixture is added where needed to replace what was lost due to weather. On racing days, the track is dragged after every race and watered as needed. “On Preakness Day we have so much time between races that we do water it more if it starts to dry out,” he said. The paddock at Pimlico can handle a maximum of 12 horses but since the Preakness horses tack up on the turf, that race can accommodate up to 14 horses. “We would rather have them all stay on the grass but some trainers prefer to tack up inside,” he explained, adding that he has an assistant judge who watches over the indoor paddock for that race. Growing up in a family of horsemen, Dave Scheing first started attending Preakness as a kid. Now, although his family no longer breeds racehorses, Scheing is even more heavily involved with the Preakness Stakes. Scheing has worked for the Maryland Jockey Club for 20+ years and is now in charge of pari-mutuel operations. Scheing said he believes wagering is so large on Preakness Day because it is the second of the Triple Crown races. “When Preakness comes around, there is still a chance for a Triple Crown winner so that generates a lot of excitement around the world,” he said. The 2016 Preakness Stakes will be Dr. David Zipf’s 51st year with the Maryland Racing Commission’s veterinary team. As chief veterinarian, Dr. Zipf leads a team of four veterinarians with the main purpose of ensuring the safety of the horses, a job that is much more involved then simple soundness exams. “We do soundness examinations on every horse that is racing that day. We look at legs, watch them jog in-hand, do flexions…” he stated. “Then one of us is always at the start gate to watch them warm up and load. No exceptions. And one of us is at the finish line watching there as well.” He went on to say that if a horse comes up lame after racing or looks sore, “they go on a list and must be watched by one of our vets before racing again.” The team also takes blood samples to check for any medications. “It is a very comprehensive test,” he said. Dr. Zipf said that Preakness day is not much different from other racing days except that all graded stakes races have additional blood tests of all the horses in that race taken about two hours before the race. “The rest is the same, except there is much higher security around the Preakness horses,” he added. Dr. Zipf graduated from Ohio State and was planning on staying there as an ambulatory vet. “The school was going through some changes and the position no longer was available,” he said. At the same time, the MRC chief veterinarian, Dr. Davie Pace, who was also an Ohio State graduate, called up the school looking for a new member of the MRC team. “I was recommended, sent in my resume and got the job,” Dr. Zipf said. Sinatra plans to take these ideas and expand on them when it comes to Pimlico and the Preakness race meet. “At the moment I am focusing more on Black-Eyed Susan Day. It has room for growth and we’ve already made a few tweaks and changes,” Sinatra explained. One such change for this year is the conditions and payout for the Pimlico Special (G3). Tim Ritvo has been with the Stronach Group, owners of the Maryland Jockey Club, since 2009. He describes his main job as overseeing the operation of the tracks and specifically related to the Preakness, “to improve the quality of racing in Maryland. The corporation is now focused on Maryland racing. We are running financial models and looking at various other tracks owned by Stronach to make a plan for Maryland.” A formal announcement will be made within the next few months and will outline the Stronach Group’s vision for Maryland racing. The ultimate goal is to make racing in Maryland the centerpiece for racing in the Mid-Atlantic region. For this year’s Preakness meet, Ritvo reported that there have been small changes to the grandstand at Pimlico as well as some tweaking to the races. “The overall goal is to improve the experience for the spectators and fans,” he said. “I am very fortunate to work for a real racing group. Rest assured, Maryland racing fans, the Stronach Group puts racing first,” Ritvo stated. Dave Rodman started calling races in 1981 at Jefferson Downs in Louisiana. “I had heard that the announcer was leaving to pursue a trainer position so I went up and started practicing with him for a few months before getting the job,” Rodman explained. After three years at Jefferson Downs, Rodman moved to Louisiana Downs in Bossier City. It was while calling races there that Rodman heard that the position at Pimlico was opening up. Rodman explained that even at that high vantage point, on Black-Eyed Susan and Preakness days the infield festivities mean that as the announcer, he has to plan for some disturbances. “Sometime the horses will disappear for a split second as they pass by a tent or the band stage so you have to plan for those situations and make sure you aren’t calling out names at that moment.” But even with the tents, Rodman feels he has the best view for calling the race. Lisa Richardson has been involved with racing her whole life. Her father was a trainer and she grew up at Panorama Farm in Harford County. 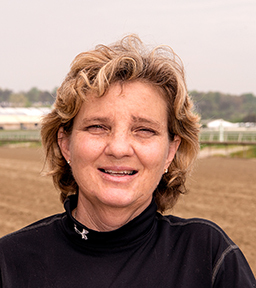 She has been an assistant trainer for Rodney Jenkins, assistant to the Director of Racing/Racing Secretary Georganne Hale, a placing judge and a fill-in horse identifier before becoming the full-time horse identifier at Pimlico. “This is my dream job. I really enjoy what I do and feel very lucky to have a job like this,” she said. So what exactly does the horse identifier do? It is a combination of a lot of paperwork, communicating with trainers and working hands-on with the horses. “Every Thoroughbred who comes to Pimlico to race must have on file its foal registration papers and a valid Coggins test,” Richardson explained. It is her responsibility to make sure each day that these papers are in fact on file and to contact the trainers if anything is missing. Then before each race, Richardson inspects the lip tattoo of each horse to make sure it matches the paperwork. Although the job itself does not actually change for the Preakness, things get a bit more complicated as most of the Preakness card horses come to Pimlico from outside of Maryland. “This means we have to collect interstate travel papers as well,” she said. After the race, all paperwork goes back to the trainers. “After Preakness we need to get papers back to them quickly as many ship out early for the Belmont,” Richardson added. “This is my second year as the identifier for Preakness. It is a thrill. Gives you a chill,” Richardson said adding that the bigger volume of paperwork is worth it. The morning line odds that appear in each day’s race program come from Pimlico’s official handicapper. Keith Feustle took over that position when Frank Carulli retired two years ago. “I had been setting odds in the early ‘90s for Racing Times and Colonial Downs before taking over at Pimlico and Laurel,” Feustle said. The goal of setting the morning odds is to have the program odds end up as close as possible to the final race odds set by the betting public. “The odds are my opinion on how the public will bet for that race,” he explained. “You have to look at a host of variables and think like the public will think.” Some of the variables that Feustle looks at are changes in trainers, jockey switches and class changes. And who will be the favorite for this year’s Preakness Stakes? As we were chatting with Feustle, the prospective Derby field was taking shape and after that race on May 2, the Preakness odds will begin to formulate in Feustle’s head. In order to even the playing field, horses in a specific race are each assigned a weight to carry. The race has a specific base weight and then weights are adjusted for each horse based on handicapping and the horse’s record. Since all jockeys do not weigh the same, equipment such as saddles and weight pads must be accounted for when making sure that the horse carries the specified weight for that specific race. Interestingly, safety equipment like a jockey’s helmet is not factored into the total weight. “The jocks are given a two pound allowance to account for helmets,” Frank Saumell, clerk of scales, explained. Jockeys check in 18 minutes before each race and then check back in as soon as the race finishes. There are two scales at Pimlico, one in the jockey’s room and one in the winner’s circle. “We have the best scales in the world!” Saumell stated. Towson University graduate Gabby Gaudet went through a tough interview process to earn the job as racing analyst for Laurel and Pimlico. Last spring, she and three other candidates went through an on-air audition at Laurel Park. “I was really looking for a younger face and someone who would come out and really step up to take the job. The then 22-year-old Gaudet did just that,” said Mike Gathagan, MJC Vice President/Communications. “Being this young in this sort of position has its ups and downs,” she said. “Racing has been sort of an older man’s sport and there were some critics who initially felt I hadn’t been around the track long enough to do the job.” Although she is now only 23, Gaudet has spent her whole life in and around the racing industry as the daughter of trainers Eddie (now retired) and Linda Gaudet. Her official position includes handicapping between races, with the results tweeted to the public as well as being found online. “I try to pick out the horses who are most likely to win each race, in my opinion, and give spectators some insight into the trainers, bloodlines of the horses, etc.” She also writes a blog for Pimlico, Laurel and Preakness websites and produces news of the day and week for simulcast. “Last Preakness I interned with Frank [Carulli, former MJC racing analyst] before officially taking on the job in September. I feel like I did a 180 from last year. This year I have my own niche. I’m more myself.” Gaudet’s age has actually helped her and MJC reach a younger crowd and bring a younger audience out to the track. Chief steward Phil Grove said it best when he stated, “This room has over 100 years of combined experience.” The three men who make up the steward list for Maryland racing have probably held every job you can think of at a track including being jockeys, trainers, owners, jockey agents, clerk of scales and racing officials. These various positions make them experts in the sport of racing and thus help ensure that races in Maryland are held fairly. “We are hired by the Maryland Racing Commission and thus work for the state and we have jurisdiction over all the racing personnel at the track,” Burke explained. In order to become a steward, candidates must first rise through the ranks of being racing officials and then apply to steward school. At the end of training, they must pass an exam before earning a steward’s license. Every two years they must take continuing education classes. “The toughest part is just getting a job,” Burke said, as there are not that many tracks left in the U.S. and each track only has three stewards. Another tidbit about the steward position is that at the start of the race, it is the stewards who stop all betting for that race. As soon as the starting gates open, a button is pushed to end all betting. And of course, as is necessary, the stewards have the best view of every race! High atop Pimlico’s grandstands, the stewards can see the entire track even when the infield is full of Preakness partygoers. “Preakness day is my favorite day of the year,” Burke said. Campola, who also is a steward for steeplechase racing, commented, “It gets more and more exciting around here as more and more people come out to the track the closer we get to Preakness. Black-Eyed Susan is a little more relaxed.” “There are more owners that tend to come out for Black-Eyed Susan. That is when the momentum of the weekend starts to pick up,” Grove added. Although being a pony rider is a year-round job, Przybyla says Preakness week is extra special and all the pony riders know that the whole world is watching. “We get ourselves all dolled up and our ponies get to wear the new saddle cloths. Some even braid their horses and put glitter on their hooves. Its like a fancy day at the office.” Przybyla also talked about the momentum leading up to the Preakness Stakes. “It’s like organized mayhem. Things get bigger and bigger and the crowds get more and more into it. Then after it is all over we sit around thinking ‘thank god it is only one day of the year!’” she said, laughing. With well over 100,000 people descending on Pimlico for Preakness day, it takes a lot of behind-the-scenes coordination to make sure every person and every horse are where they need to be, and not where they shouldn’t be. Taking care of the security at Pimlico falls on Security Consultant Willie Coleman and Detective Bob Vinci. Vinci joined the MJC team in 1998 after 29 years with the Police Department. “This was a good opportunity for me to get into the private sector,” he explained. Vinci floats back and forth between Laurel and Pimlico but once the Woodlawn Vase arrives at Pimlico, he sticks around. Tiffany and Company crafted the Woodlawn Vase in 1860 as a trophy for the now defunct Woodlawn Racing Association. Now the trophy, which is valued at $1 million, is presented each year to the winning Preakness owner. The trophy is housed at the Baltimore Museum of Art and brought to Pimlico sometime during the week leading up to the Preakness Stakes. “Once the trophy is here, it is watched over by armed guards at all times,” Vinci stated. “On Preakness day, it is a military honor guard that delivers it to the winner’s circle for all the photographs and such.” During Preakness week, the Woodlawn Vase becomes a celebrity of sorts, making appearances at key events including the annual Alibi Breakfast. As Preakness day gets closer, things at Pimlico “get pretty electric” according to Maryland Jockey Club track photographer Jim McCue who is tasked with recording that electricity in photos. “My main job is to take all the publicity photos for our website and the media but I also take the winner’s circle photos for the trainers,” he explained. Although McCue grew up around the track and his parents were owners and trainers, he did not start shooting for MJC until 1970. Before that, he was a U.S. Army photographer. Georganne Hale in no stranger to horse racing. She was the first woman in the state of Maryland to hold the position of paddock judge and in the summer of 1987 she became the first woman to serve as racing secretary when she took over Timonium’s 10-day meet. In 2000, Georganne was promoted to racing secretary at Pimlico and Laurel, becoming the first woman in history to fill that position at a major track. A year later, Georganne moved into the position of the Maryland Jockey Club’s Director of Racing. At that point, Georganne is on the phone with trainers getting horses entered in not only the Preakness Stakes, but also all the race day cards for both days. “A lot of times we hear about the Derby horses through the media but the trainers still have to officially enter the horses,” she added. Karin DeFrancis has a long history with Pimlico and the Maryland Jockey Club and was a former co-owner until 2007. Since then, Karin has continued to be heavily involved with Black-Eyed Susan and Preakness days as a consultant who wears many hats. “I’m proud and honored to be a part of this team,” she said. One of her biggest responsibilities is being a promoter and organizer of the infield concerts and this year, she and I.M.P. Inc. brought the Goo Goo Dolls in as the headliners of the first-ever Preakness eve concert. “Black-Eyed Susan Day is the second biggest day in Maryland racing and it gives the track an international stage to be showcased on,” Karin stated. And over the years, this international stage has married high-quality music with high-quality horses, making for a complete weekend celebration. The first People’s Pink Party on the infield during Black-Eyed Susan Day was in 2010, and since then, the day has grown considerably in popularity and thus the lineup for the day has also grown. “We have a very competitive card for racing that day and the whole weekend brings people from all over the world into Baltimore and its surrounding areas,” Karin added. With an overall plan to continue to maximize the day, Karin and her crew responded to the positive feedback gained from Preakness day concerts and added the Preakness eve concert. 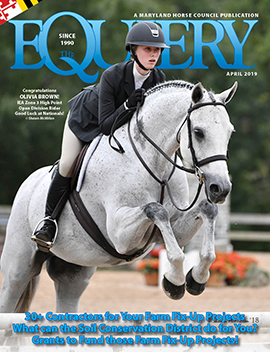 To read more about the various concerts, see “Black-Eyed Susan & Preakness Preview” in this issue. After all the planning and organizing are finished, and the two days of racing actually come into play, Karin can be seen everywhere, serving as hostess, putting out fires and responding to customer needs. 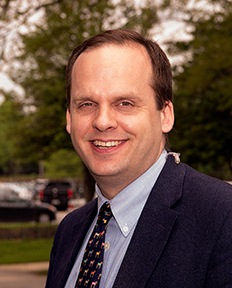 If you follow the Maryland Jockey Club on Twitter or Facebook, or subscribe to MJC’s newsletters and press releases, then Mike Gathagan is a name you will recognize, as all of the above comes out of his office. And it may seem that Mike is the guy who does it all but he will be the first one to tell you “it’s a team effort.” From working with owners, trainers and jockeys to keeping the press happy but in line, broadcasting the Preakness Stakes to the world takes a village. Phoebe Hayes’ official title is Director of Horsemen’s Relations, but she fills many slots when it comes to Pimlico. From organizing transportation for owners and trainers to engraving trophies and getting them to the right people, Phoebe is kept busy year-round. In addition to keeping the horsemen happy and coming back to Pimlico, Phoebe also works with publicity and fan education. A few years ago, Phoebe started the Racing 101 forum, an all-day, all-exclusive backstage pass to what goes on at Pimlico on race days. The day includes talks with trainers, veterinarians, race stewards, jockeys and more. Participants get a first-hand look into the daily training of a racehorse and what it takes to actually start a race, and then enjoy lunch overlooking the track. And that is just the short summary. “The track is such a unique atmosphere and being able to add more knowledge to those who come makes the experience even that much better,” Phoebe said, adding, “educating the public is what I love most about this job.” Phoebe also works closely with other events held at Pimlico including Chasin’ for Children, the Maryland Million and the Totally Thoroughbred Horse Show. During Preakness week, Phoebe’s staff of two (Phoebe and an assistant) turns into a staff of 55. “We handle all the stakes barn hospitality, book about 500 hotel rooms, hire a fleet of people to transport owners and trainers, organize an exclusive horsemen’s tent in the Corporate Village plus a couple of dining rooms…” explained Phoebe, continuing on with a very, very long list. “We take care of these folks,” she added, which is incredibly important for keeping owners and guests investing in the sport of Thoroughbred racing. And once Preakness is over, Phoebe has to make sure all the trophies are correctly engraved and get them to the correct people. “You’d be surprised how hard delivering trophies can be,” she said. One of the biggest attractions of Preakness week is the sunrise tour of Pimlico, which takes place on Wednesday through Friday mornings. Around 400 participants, ranging from first-timers to a track to school groups and people who make Sunrise at Old Hilltop an annual event, attend these early morning tours. Fran Burns has been a tour guide at Pimlico for four years and for the past two years, she has been the Head of Preakness Tours. “This is the best job I have ever had. I get to meet interesting people and educate them on what the Thoroughbred is all about,” Fran said. Tour participants get to learn about Pimlico’s rich history, as well as Maryland’s racing history. They get to go behind the scenes and meet trainers, jockeys and other personnel as well as watch horses breeze and meet the Clydesdales. Fran handpicks 10 tour guides each year based on several criteria. “They have to be knowledgeable but able to dumb things down a bit to explain what is going on to people who may have never seen a horse before,” Fran said. Plus, each person she hires has his or her own history in the sport to share, giving each tour a personal feel. Ever wonder who coordinates all the various themed food tents? Or who comes up with the menus? All of that comes under the auspices of Tommy Enzer, who starts planning for the Preakness practically as soon as the previous year’s Preakness is over. “We start thinking about new themes and generate ideas around June for the following year. By October we are working with distributors and suppliers to make sure our ideas will work,” he said. Tommy oversees a staff of 100 for the regular season but that number jumps to over 800 for just one day of racing. Many of the Preakness day staff are hired through various agencies and many are hired internally but all have to be educated on what Preakness is and how to make the whole day seem like an everyday enterprise. “There is just so much culture and so many cool things about this race outside of just the party,” Tommy said. The menu for the International tent changes each year as a different country plays host. This year, Japan has been selected as the host and Tommy is tasked with bringing guests a blend of Japan and Baltimore. “We want to do what they [Japanese Embassy] want from a cultural standpoint and put our Baltimore spin on it,” he said. Specific to 2013 is the addition of the Farm-to-Table theme for many of the infield tents, an idea that was generated through Tommy’s office and is hailed as the largest Farm-to-Table experience in the country. Celebrity chef Mike Isabella from Top Chef is also involved in the menu. Simply put, the starters start the race. But the job is not that simple and is probably the toughest job in the industry. “They save lives,” said Mike Gathagan. The starters are the people who you see on the ground getting the horses into the starting gate and sitting on the four-inch ledge above the horses in the gate right as the race begins. “Our job is getting all the horses into the gate and off to a safe and fair start,” said Wagner. Potential starters tend to get into the business through other track-related jobs, whether having been a groom or an exercise rider. But according to Bruce, some watch the starters and think “no way would I ever do that.” Things can go wrong in such a small metal box and even with all the padding and safety measures in place, Bruce said “you have to have some courage” to do this job. On a normal day, the start crew is about 12 men. On Preakness day, that number goes up to 18. “Some horses might require two men and we want to have a bit of insurance that things go smoothly,” Bruce added. The crew for Preakness day tends to be the same group of men year after year with some having done the job for 15 or more years. “We swap out among the crews between the three tracks,” Bruce said about the Triple Crown races. This allows the starters to know a bit about the horses before they even get to Pimlico. In addition, Bruce and several other starters use a program called Incompass, which stores information on each horse from every race they have ever run in. “So if we have a problem horse, we know how to deal with it ahead of time. It is a great program for safety,” he said. The Maryland Jockey Club technically employs the jockey valets that work at Pimlico, but their real employers are the jockeys themselves. The valet’s job is a multifaceted one that takes a hard-working individual who strives for perfection. At Pimlico, there are 12 valets who do everything from saddling the horses to making sure the jockey’s room is in tiptop shape. “We are like a babysitter in some ways, making sure everything is nice and neat and ready for each race. We make the jockey room a home away from home for each jockey,” Pimlico valet Richie Ramlchelawan said. But the most important part of the job according to Richie is overseeing the saddles. Richie explained that each jockey has different-sized saddles that are used, depending on the weight needed for each race. They also make sure the jockeys have the right-colored helmet covers and silks, that their boots are clean, and the like. “We take that pressure off the jockeys so they can go out and win,” he added. Each valet works with a specific jockey or jockeys and Richie, who calls himself a perfectionist, said, “I work for some of the elite in the business,” adding that the valet business can be a bit cutthroat at times, but his interactions with jockeys have been good ones. “They don’t get enough respect, in my opinion. They are classy and stick together like a family. Everyone I work with is so polite and they respect me as well,” he commented. As for Preakness Day, it is business as usual in the jockey room. Richie admits he puts a bit more pressure on himself that day. “There is a lot of money riding on that one race and I want to make sure my job makes everything go smoothly for the jockeys. It is not just about one race, we take pride in Maryland racing,” he said.